Hot On Top are known for producing quality events that connect South African party goers at glorious locations around the country, with the finest DJs providing the soundtrack for the night. And this August—in Women’s Month—they will bring together a lineup made solely of females in order to address gender inequality in the music industry. But most of all, celebrate the women of South Africa. How is the music industry unequal? In 2016, Ultra Music Festival Miami featured only 20 female artists, with 198 male acts making up the remainder of the lineup. This year, Creamfields has just 11 all-female DJ acts in a weekend of 230. Also, the Telegraph’s study of Britain’s top six festivals (including Glastonbury, Reading and Leeds festivals) concluded that all-female bands made up just 3.5 percent, and solo acts just 16 percent of line-ups in this upcoming summer. And this year, as usual, Forbes’ list of highest earning DJs was 100 per cent male. 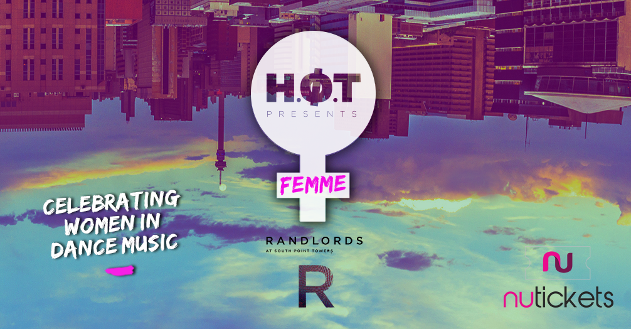 To balance the scales, Hot On Top have dedicated the entire month of August to the female species by launching the Hot On Top FEMME tour. 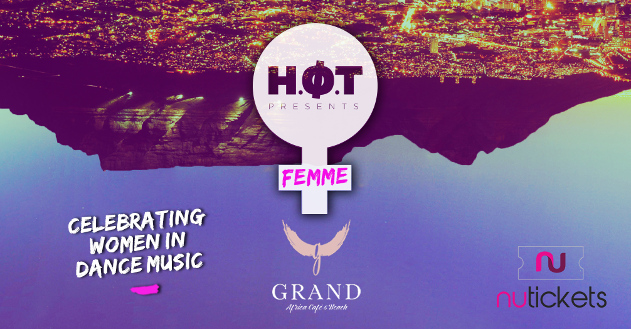 Hot On Top presents FEMME takes place at Johannesburg’s Randlords on August 5th and Cape Town's Grand Africa on August 12th, with each party showcasing its own all-female lineup. Abby Nurock, Miss CJ and Carly will be playing in both cities with Lady Lea, Lady Sakhe & DJ Buhle, Hayley Illing and KDC joining in Johannesburg. While in Cape Town, ANG and Jay Me will rock it out alongside Claudia Lovisa and special guest, who is yet to be announced. With females buying more than 50 percent of H.O.T’s pre-sold tickets, they have also decided to give women an exclusive discount on all FEMME tour tickets purchased. But they have not stopped there, also choosing to support the Lalela – Art is Power charity, with a workshop focusing on woman-empowerment and entrepreneurship, inspiring the youth of our future to not feel limited by their gender and underprivileged backgrounds. And those who donate will even be entered into a draw to win a R1000 bar tab on the night. For tickets and more information visit the Hot On Top website. Model, actress and mom, DJ Roxcizzle is a dynamo. What does this festival coming to South Africa mean for its dance music scene?